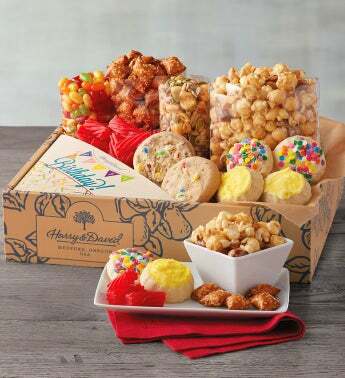 Brimming with sweet and savory delights, the Birthday Banquet Box is the perfect way to wish someone special a day filled with surprises. 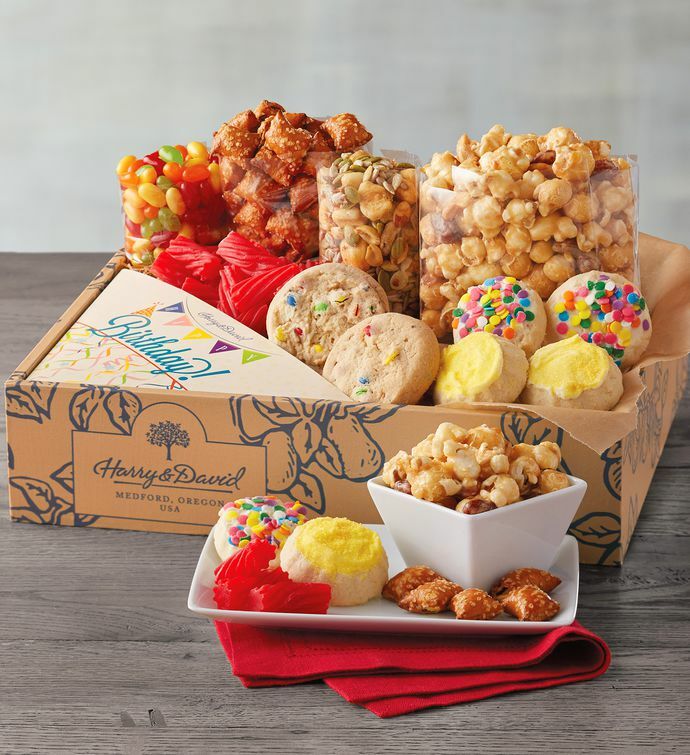 This gourmet gift includes peanut butter pretzels, red licorice bites, Moose Munch® Gourmet Popcorn, vanilla shortbread cookies with candy confetti, and more. Your gift arrives expertly arranged with a bright and colorful birthday message.